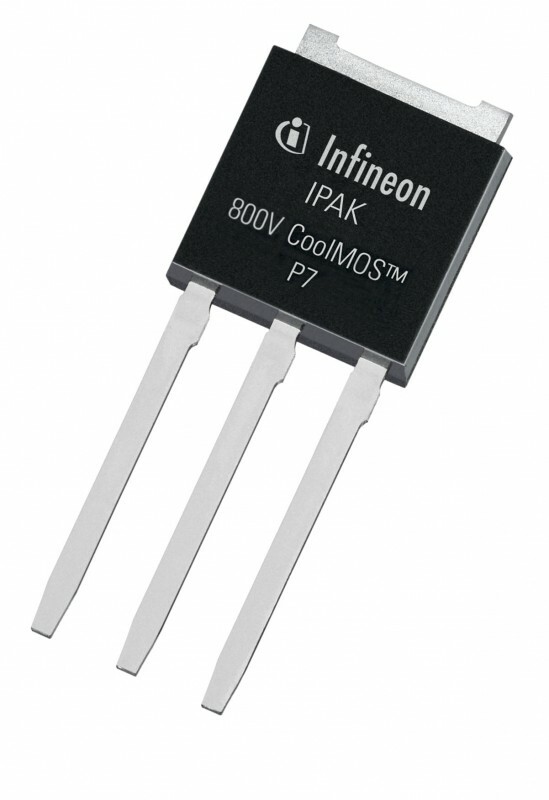 Infineon Technologies recently introduced its 800-V CoolMOS P7 series. Based on the superjunction technology, the product family is well suited for low-power SMPS applications, such a s LED lighting, audio, industrial, and auxiliary power. The 800 V CoolMOS P7’s offers up to 0.6% efficiency gain. In addition, an integrated Zener diode reduces ESD-related production yield losses. The easy to drive and design-in MOSFET features an industry leading V (GS)th of 3 V and the smallest V GS(th) variation of only ±0.5 V.
The 800-V CoolMOS P7 MOSFET family will be available in twelve R DS(on) classes and in six packages. You can order products with R DS(on) of 280 mΩ, 450, 1,400, and 4,500 mΩ.